It may very well be that Donald Trump is president because, in the last few years, four million jobs were automated out of existence in Michigan, Wisconsin, and Pennsylvania. In Michigan alone, 40 percent of workers who lost manufacturing jobs ended up on disability. According to tech entrepreneur Andrew Yang, labor force participation remains low and the glowing unemployment statistics we hear are woefully out of line with what’s really going on. Every day more and more repetitive jobs, both cognitive and physical, are being eliminated. Everywhere from the factory floor to truck fleets, from radiology labs to some parts of the legal profession, human beings are being replaced by automation and AI. According to Yang, all the talk about technology creating new jobs is misleading, as only a few new jobs are created for the thousands that are eliminated. In his opinion, this is a conversation that we have been unwilling to have. Yang tells Jeff Schechtman, in this week’s WhoWhatWhy podcast, that the answer to the jobs crisis is a Universal Basic Income (UBI). He explains how it can work and be paid for. He argues that it is both a capitalist and a humanistic idea, which was once supported by both Richard Nixon and Martin Luther King. Yang argues that UBI — despite some recent setbacks — will create a huge spike in entrepreneurship, eliminate significant psychological and medical problems plaguing the country, and allow citizens to embrace, rather than fear, all that technology has to offer. Andrew Yang is the author of The War on Normal People: The Truth About America’s Disappearing Jobs and Why Universal Basic Income Is Our Future (Hachette Books, April 3, 2018); and Smart People Should Build Things: How to Restore Our Culture of Achievement, Build a Path for Entrepreneurs, and Create New Jobs in America (HarperBusiness, April 2, 2004). Jeff Schechtman: Welcome to Radio WhoWhatWhy. I’m Jeff Schechtman. In the movie Jurassic Park, perhaps the most famous line is that, “Nature will find a way”. It might be just as accurately said today that technology will find a way. Think about where we are. Fear of Facebook today, the attacks on Amazon, the opioid crisis, the kind of mini techlash that we’re going through right now, and the anger of a great many voters in former manufacturing hubs like Michigan, Pennsylvania, or Wisconsin. All of it stems from the degree to which technology is displacing every aspect of society, and if this is where we are now, just wait until technology really kicks in, until it replaces millions and millions of more jobs, and the consequences will trickle down; not just to our economy but to the psychology of millions of Americans and millions of peoples around the world. How will we be affected by all of this, and what can be done, if anything, to remediate the impact? We’re going to talk about all of this today with my guest, Andrew Yang. Andrew Yang is the founder of Venture for America, a non-profit that places college graduates in start-ups for two years. He’s been the CEO, co-founder, or executive at a number of technology and education companies. He was named a presidential ambassador of global entrepreneurship and listed as one of Fast Company’s 100 Most Creative People in Business. He’s a graduate of Columbia Law and Brown University. He’s the author of The War on Normal People: The Truth About America’s Disappearing Jobs and Why Universal Basic Income Is Our Future. And he’s also announced that he’s running for president in 2020. It is my pleasure to welcome Andrew Yang. Thanks so much for joining us here on Radio WhoWhatWhy. Andrew Yang: Jeff, thank you for having me. It’s a pleasure. Jeff Schechtman: Why are we not talking more about the perils that are down the future from automation at this point? We see so much happening now in terms of self-driving cars, self-driving trucks that are coming along down the future, three million truck drivers or more that could be displaced in so many areas. Technological displacement is so clearly in our future, and yet we’re refusing to have the conversation. Andrew Yang: Yeah, I couldn’t agree more. Hopefully we can start having that conversation now, even though it’s years and decades overdue. As you say, truck driving is the most common job in 29 states. There are three-and-a-half million of them, average age 49, 94% male, average education high school. I was just in Silicon Valley two weeks ago and they’re closing in … they believe on trucks that can drive themselves with tele-operators standing by to take over from some warehouse in Nevada where they just sort of beam in and take over the truck anytime the computer gets less confident. When that becomes real, not only will the truck drivers be impacted but, the five million Americans who serve them in truck stops, motels, and diners, across the country. Jeff Schechtman: That’s just one small part of it. It even goes on to college-educated jobs. Things like radiology, and lots of other technical specialties that will be potentially replaced. Andrew Yang: Yeah. The categories of labor are routine cognitive, and routine non-cognitive, those are the jobs that are most likely to be automated so, as you say radiologists … it’s obviously a very highly educated technical field but, it’s also really just data processing and no human radiologist can access as much data in terms of the millions of films on record as a computer. That’s the kind of routine cognitive task along with accounting and bookkeeping, and some lawyering that’s very likely to become automated in the months to come. 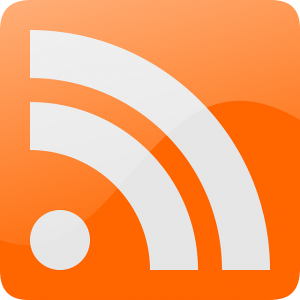 Jeff Schechtman: Is it your sense that there is a fear on the part of most people about having this conversation and really beginning to look at this? Andrew Yang: The great thing Jeff, is that Americans are waking up to it where a recent poll showed that 70% of Americans believe that technology is going to destroy many more jobs than it creates. Hopefully, my book can galvanize a national conversation around this where when I’m in Silicon Valley and I talk to the experts, the more people know, the more concerned they are. I’ve yet to talk to like, a deep expert who’s like, “Yeah, everything will be fine”. We need to galvanize the American people as fast as possible because in my opinion, the reason why Donald Trump is our president today is that we automated the way that four million manufacturing jobs in Michigan, Ohio, Pennsylvania, places I’ve worked over the last six years and saw firsthand the impact of automation. We’re in the third or fourth inning of the greatest technological and economic transition in human history … and by the time we get to inning six or seven it’s going to be chaos. Andrew Yang: Yeah, it just goes to show how deeply we’ve internalized sort of, classical economic thinking and market logic. If you look at the actual data of the manufacturing workers in Michigan who lost their jobs, 40% of them went on disability and government retraining programs were entirely ineffective. And those are just facts. Anytime you actually dig in … so, it’s very frustrating when someone says the technology will create jobs as it destroys others. That statement is 100% true. The problem is, you’re going to get rid of 100 high school graduates let’s say, who are driving trucks and replace them with five or ten logistics managers in Seattle with college degrees who are trying to make things run more efficiently. The jobs are in different places, they’re smaller in number, and they require more highly specialized skills. So that’s the part of the story that people understand after you dig in a little bit because you realize that you’re not going to need three and a half million mechanics for a self-driving truck, when the trucks can drive themselves. Jeff Schechtman: Of course when we’re sitting with a 4 or 4.5% unemployment rate it’s even harder to get people to focus on it. Andrew Yang: Yeah and I think it’s government malpractice and media malpractice to use the headline “unemployment number” because it doesn’t measure underemployed people, it doesn’t measure people out of labor force. Our labor force participation right now is 62.9% which is a multi-decade low and it’s comparable to the rates in El Salvador and the Dominican Republic. Not to knock those countries but, you know, it’s not great. It doesn’t measure marginally attached workers. The headline “unemployment rate” is just a terribly misleading measurement. When you start looking at rates of underemployment and labor force participation there’s rampant weakness. Jeff Schechtman: In the rare instances where this conversation is held, one of the things that comes out of it is this whole notion of universal basic income and that’s really at the heart of what you write about in The War on Normal People. Talk a little bit about that. Andrew Yang: Universal basic income is a policy that was mainstream in the 60s and 70s. It passed the House of Representatives in 1971 and stalled in Congress because Democrats wanted a higher floor. It’s a policy where every citizen gets a certain amount of money free and clear regardless of their work status. In my plan it’s $1,000 a month. Back in the 60s, 1,000 economists signed a letter saying, “This would be a great thing for both the economy and society”. Martin Luther King was for it, Richard Nixon was for it. It became this close to becoming law … it actually is law in one state in the union right now, and that’s Alaska which has a petroleum dividend of between $1,000 and $2,000 per citizen per year. We just don’t hear that much about it because it’s in Alaska. A universal based income is often thought of as a response to automation because in a society where jobs are harder and harder to come by, then having enough money to support yourself becomes increasingly vital and sensible. Jeff Schechtman: One of the interesting things that you talk about in The War on Normal People is not just the economic consequences of this and the economic reality which I want to talk some more about, but also the psychological impact. Andrew Yang: I really started getting passionate about this in part when I had children. I’ve got a five year old and a two year old, both boys. Our first son was such a struggle, I mean we struggled really when he was three, six, nine months old. I thought to myself, “There are two of us and we have education and resources and we can do some things, and it was still just kicking our butts every day.” And so, thinking about single moms in the US, 40% of American children today are born to an unmarried mother. My wife and I talked about that like, “How the heck can you do this alone and then hold down a job, and try and maybe even have more than one child?” I mean, the family dynamics are really where the rubber hits the road and the universal basic income has been shown to improve high school graduation rates. It improves children’s personalities where they become more conscientious and agreeable because of less financial stress in the house. Mental health goes up, the amount of time that young mothers spend with their children goes up, so there’s this macro-economic and it tends to attract a certain sort of like, techy guy, but the human impacts are really much more compelling and dramatic when you start trying to figure how it’s going to look in the real world. Jeff Schechtman: You talk about it in the context of this $1,000 a month. How did you arrive at that number and why that number as opposed to a lower one or a higher one? Andrew Yang: $1,000 a month is the right level because it brings all Americans to just about the poverty level. Where the poverty level in this country right now is around $12,700. $1,000 a month is enough to make a real difference in most Americans’ lives. 57% of Americans right now can’t afford a $500 unexpected bill. It’s going to make a huge difference. But it’s not so much that it distorts labor market behavior too much where, if you’re say, a waitress making $20,000 right now and then you’re getting another $1,000 a month, are you going to quit your job the next day? Probably not. You’re going to instead, keep your job, make $32,000 in essence and then start trying to save a little bit. So $1,000 a month gets people to the top of the poverty level. It was proposed by a guy named Andy Stern who’s now advising my campaign, who’s the head of the largest labor union in the country. It’s studied by the Roosevelt Institute which found that $1,000 a month universal basic income would grow the economy by 4.6 million jobs and increase GDP by $2.5 trillion a year in perpetuity. This was not my plan, this is a plan that others had proposed and studied. Jeff Schechtman: Would this be in your view means tested? Andrew Yang: No, it wouldn’t. In part because means testing ends up introducing both the stigma and administration and it ends up being a year behind in many cases. So it would be universal. Any adult between 18 and 64 would receive $1,000 a month no questions asked and the reason why this would be the best way is in part because of the funding mechanism that I propose which is a value added tax. So if you’re among the wealthiest members of society, you consume more, you’ll end up paying more into the system. So you’re getting $1,000 a month is totally fine because you’ll likely be paying more than that into the system to pay for others. Jeff Schechtman: What is the nexus if any between this and other welfare and social safety net programs that already exist? Andrew Yang: We spend $500 billion right now on welfare and income support and the plan would be to allow people who are currently receiving benefits to opt in. Say you’re receiving $1,000 in food stamps, housing assistance, and other things, and then we say, “Would you prefer $1,000 cash, no questions asked, no case manager, no paperwork, no nothing?” Obviously most anyone who’s receiving anywhere close to the $1,000 line will opt in for the freedom dividend, but if you prefer your benefits or perhaps you’re getting a little bit more than $1,000 in benefits, then you can keep them. We would end up replacing a lot of the cumbersome bureaucracy but the goal would be to allow people to opt in because people have obviously very strong reliance on these existing programs and we don’t want to go and try make wholesale changes immediately. Jeff Schechtman: What are some of the other broader implications that you see this having on the economy and on economic models that are very important today? Andrew Yang: So much of our public policy and media coverage suppose it’s an economy that stopped existing a few decades ago. We pretend that there’s still this 1970s model of employment, that if you graduate from college you get a good job, you get benefits, you’ll be able to buy a home, start a family, and all that good stuff. In reality, the underemployment rate for recent college graduates is 44%. We’re up to 1.3 trillion in student loans. In all of the jobs that have been created since 2005 have been contractor jobs and gig economy jobs, in part because employers do not want to pay for healthcare and other benefits for employees. The economy is changing in fundamental ways, in large part because companies that are coming up just don’t employ as many people and when they do employ people they tend to be small numbers of … engineers and people with highly specialized skills. In my book, The War on Normal People, I have a table and it shows that a company like Kodak employed 145,000 people in the 80s and Snapchat today employs less than 2,000 people. You can play that out across industries where the companies on the cutting edge today just do not need that many employees but we pretend that that model of employment still exists and we need to adapt to the realities of 2018 and 2020. Jeff Schechtman: In that way you make the argument for this for universal basic income really as kind of a pro-business, pro-capitalist policy. Andrew Yang: Oh, it’s very pro-growth. I mean, as I said, the Roosevelt Institute projected it would create millions of jobs. I’ve worked with hundreds of entrepreneurs over the last couple of decades as a founder of … well, in the last six and a half years as the founder of Venture for America. A universal based income would be the greatest catalyst to entrepreneurship, new business formation, and creativity that we’ve ever seen. Entrepreneurs generally are not scrambling to pay their bills week to week or month to month in the sense that like, that they need to meet their personal needs. They have their heads up, they’re thinking about problems that they want to solve in the world, and they’re situated in such that they can take a risk for a period of months while trying to build a new business. We’re going to put millions of Americans into that frame of mind and also to have a sense of security. Economic security begets innovation, creativity, and new businesses. Jeff Schechtman: Where have you seen it in all the time you’ve been talking about this and really promoting this idea, where are you finding push back and why? Andrew Yang: You know, the main push back really is a lack of imagination. Where people are, “Oh, is this possible? How can we pay for it?” We’re the richest, most advanced society in the history of man. Our economy is up to $19 trillion, it’s grown by $4 trillion in the last 10 years, we’re the global reserve currency, we can easily afford $1,000 per citizen per month. Andrew Yang: The real obstacle I run into is those people getting trapped in the food fights of today and the mindset of scarcity, and think that something that should be completely obvious and benefits 85% of Americans from day one is somehow impossible in a democracy. What we’re battling really is inertia and a lack of imagination. Jeff Schechtman: Talk about the total cost for this. You estimated it around $2 trillion, talk about that and where it comes from exactly in your view. Andrew Yang: Sure. $2 trillion sounds like a lot, the economy is $19 trillion, and the federal budget is around $4 trillion but, the great thing is that the freedom dividend doesn’t grow the government at all. It’s really a dividend to citizens in the same way that the petroleum dividend in Alaska just distributes the resources to citizens and really keeps it out of the hands of government. $500 billion of the $2 trillion we are already spending on income support and so, that will take 25% of the cost out right there. My plan to pay for it, and we are in a really precarious position right now because we have an income tax regime that’s terrible at harvesting the gains and value creation from automation. Who’s going to benefit from automation? Large global tech companies that are great at not paying taxes, small technology companies that are often not profitable. What we need to do is we need to shift to a value added tax the same way as every other industrialized country does it so that when there are the robot trucks, the AI, and the software, we’re receiving revenue from that. A value added tax at half the European level of 10% would generate between 7 and $8 hundred billion per year in revenue. That gets us up to about 65% of the cost of the universal based income and then, the great thing is that as the economy is going to grow because people have more money to spend we’re going to get 25% of that back in new tax revenue from all the new businesses, from all the consumer spending. The revenue to GDP ratio in the US is about 25% so, if you project that the economy is going to grow by, let’s say 1.5 to $2 trillion then you’re going to get 4 or $500 billion back in increased revenue. The last part is that we spend about $1 trillion right now on healthcare, incarceration, homelessness services, all these things that are going to go down when more Americans can stay functional and stay out of the emergency room, and stay out of social services, so we’re going to save money that way. Universal based income will actually end up paying for itself in profound ways. What’s really expensive is when Americans become dysfunctional and wind up in the system. Jeff Schechtman: What happens in your view if this technological displacement that we’ve been talking about continues to happen at the pace that certainly you and I think it will happen, and we do nothing about it? Andrew Yang: Jeff, it’s great to talk to a kindred spirit in this because it seems that you’ve been after this for a long time. If we do nothing we’re going to wind up with science fiction level dystopian scenes playing out before us in a few short years. The great trucker rides of 2024, the mindset of scarcity and irrationality is going to manifest itself in hatred for other groups. Eventually there will be virulent anti-tech protests because people’s communities are about to get blasted out of existence. I mean, 1 out of 12 workers in Nebraska works in trucking. You could imagine how that’s going to impact many of the states in the interior, and people on the coast in the bubble are somewhat insulated from it, except when this last election came and then it was a wake-up call to many people. The wake-up calls are just going to get worse and worse over time if we don’t get in front of this in a big way, and that requires thinking much more dramatically about new solutions. 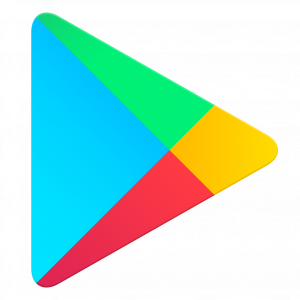 Jeff Schechtman: Do you think that this techlash that we’re seeing now in small ways is kind of a forerunner of what you’re talking about? Andrew Yang: Yeah I do. I think that it’s going to grow from here and that the people who lead in the technology industry and other industries, we need to step up and say, “Look, the system right now showers benefits on a relative handful of companies and individuals and more and more Americans are feeling left out and left behind because they are left out and left behind”. It’s not like, there’s no … they’re right. So we need to start owning our responsibilities as Americans and patriots and say, “Look, we have plenty of resources, we just need to start distributing them more fairly and more broadly”. Jeff Schechtman: Of course the other counter argument to this, which I’m sure you hear a lot and is out there a lot, is that we’re overreacting to all of this, that it’s not going to happen as quickly, this isn’t coming that soon, look what happened already with one accident with self-driving cars, and we needn’t worry about it. Andrew Yang: The data is actually going the other direction where if you look … and you cited some of these social issues earlier in the interview. Life expectancy has declined in the US for two straight years which is almost unheard of in a developed country, in large part because middle aged Americans are killing themselves in record numbers. That doesn’t include the opiate epidemic which kills seven Americans every hour. If you look at what’s going on out there it’s very, very bleak right now. Anyone who thinks, “Hey, it’s going to be okay” is just not paying attention to the facts. Anyone who cites the industrial revolution seems to ignore the fact that there were widespread protests and violence. Labor day was inaugurated in response to a strike that killed dozens of people and caused billions of dollars of damage. Labor unions originated during this period and negotiated and fought for things like the 40 hour work week and universal high school came up. There are all these social changes during the industrial revolution that took place over years out of conflict. And so people who think it’s going to be fine this time are really not students of history and are not paying attention to the facts on the ground. Jeff Schechtman: Finally Andrew, talk a little bit about your wanting to run for president. You’ve written this book, The War on Normal People. Obviously these ideas are important ones to get out there, why run for president given the crowded field already? Andrew Yang: I’m an entrepreneur and I want to solve the problems that I set out to solve. Here, this problem is national in scope and society-wide in its impact. When you think about how you can realistically solve these problems within a five- to ten-year timeframe, a revolution is required and we need a new president that has the right vision and values and priorities to implement solutions that, while they seem dramatic today, will become mainstream very, very quickly. One of my rules in life is you have to give yourself a chance to win or you have to give yourself a chance to solve the problem. Everything else I have listed that I can do, does not solve the problem, but this will, and I’m happy to say since declaring my candidacy in February I’ve been overwhelmed by the support and contributions, and people saying, “Thank goodness someone’s actually telling the truth.” This campaign grows stronger every day and I’m so glad that I’m running for president because I’m seeing now much more clearly just how deep the needs are. Jeff Schechtman: Let me ask you real quickly before I let you go, how do you see this problem in a global context, because we’ve been talking about it very specifically with regard to the US, but we know that we live in a global economy, that these problems are going to happen, and these technological issues are going to happen all over the world. How do you see this as part of that larger framework? Andrew Yang: I was at a presentation with the head of the World Bank and he talked … he had a slide that showed the different ratios of jobs in different economies in terms of their being subject to automation, and that the US is actually in some ways disadvantaged because we’re coming off of like a very high base. Where in another country where labor is very cheap, the incentive to automate is very cheap. Whereas here, because labor is quite pricey the incentives to automate are very, very high and the people when they lose their truck driving job getting paid $48 or $52,000, their next option is not going to pay them anywhere near that and that’s a very, very steep fall. In some ways we are in a worse position than other countries because our labor is more expensive and our costs are higher. But this is definitely going to be an international phenomenon and it’s going to hit other countries in equally dramatic ways. Jeff Schechtman: You see it even in China where there’s a move towards a lot of automation, even companies like Foxconn are looking to greater automation. Andrew Yang: Oh yeah, very much so. I mean, other countries are pretty ruthless about doing whatever is best for efficiency for the business and so it’s not just an American phenomenon. But as you say, I’m focused on this country because I’m an American and we have plenty to work on right here at home. 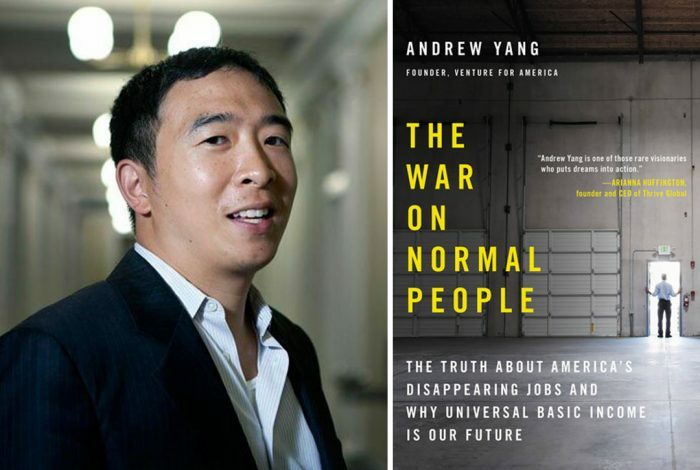 Jeff Schechtman: Andrew Yang, the book is The War on Normal People: The Truth About America’s Disappearing Jobs and Why Universal Basic Income Is Our Future. Andrew, I thank you so much for spending time with us here on Radio WhoWhatWhy. Andrew Yang: Jeff, it was a pleasure. Thank you for having me. If you like this podcast please feel free to share and help others find it by rating and reviewing it on iTunes. You can also support this podcast and all the work we do by going to whowhatwhy.org/donate. Related front page panorama photo credit: Adapted by WhoWhatWhy from truck (Mike Mozart / Flickr – CC BY 2.0).